I've become a straight hair natural... And I like it!! That’s right, I said it. I’ve been natural for 15 years, big chopped twice, and have nothing to prove. I love my natural curls. 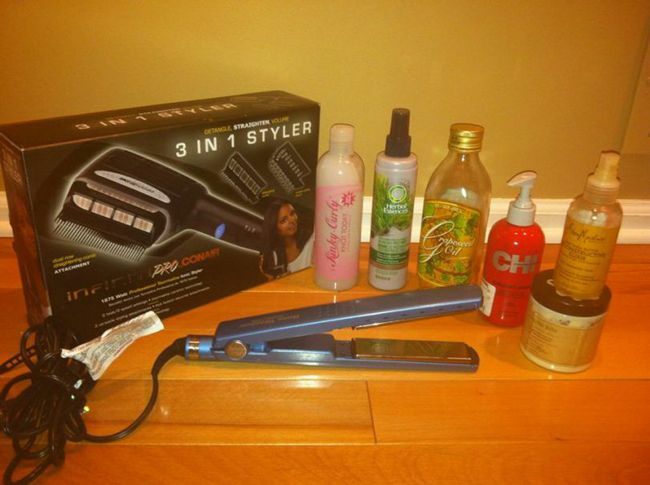 However, right now, I love the convenience and ease of straight hair a lot more! And, sometimes, that’s really all there is to it. I’m about to share why I began straightening my hair regularly and how I have managed to do so for the majority of the last year without suffering heat damage (the latter of which always seems to be the mythical unicorn of the natural world ;). I started straightening my hair around the 5th month of my pregnancy last year. 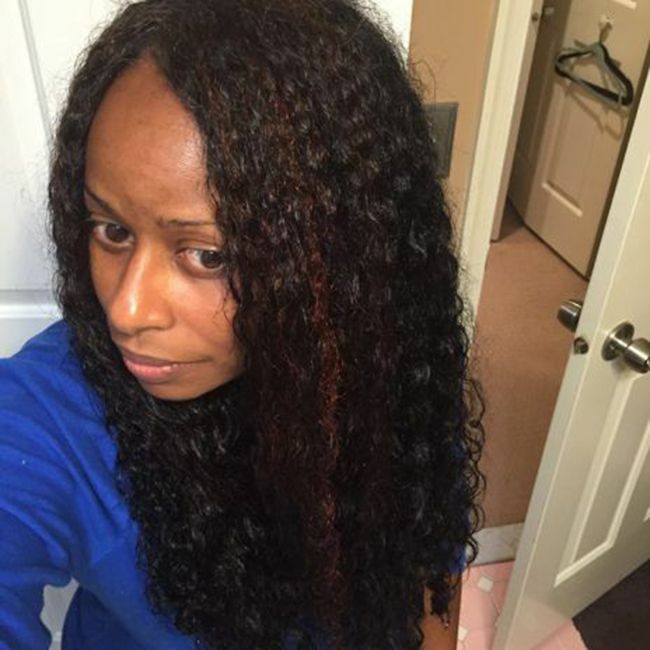 When I realized that I could get at least 4 weeks out of straightened hair (sometimes 6), it was a no brainer given my increasing ungainliness and fatigue. When I had Wyntr in January, it again made sense as taking care of a newborn is two full-time jobs and I needed to give up my part-time (i.e. my hair on wash day). Then, as I was coming up on 3 months post-partum, I decided to straighten as a preemptive move to combat the threat of post-partum shedding. I figured that it would allow me to comb my hair between wash days in order to get rid of excessive shedding, making detangling easier when I did get around to washing it. 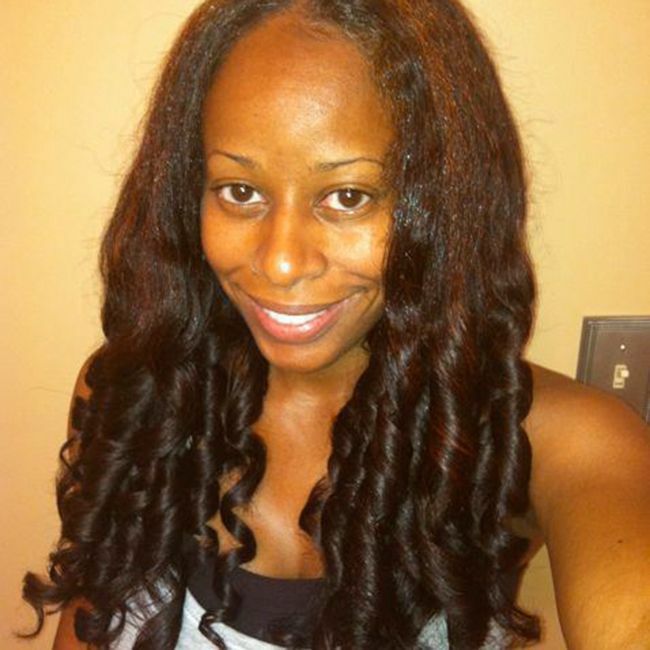 Air dry hair stretched (in 2-4 braids) and flat-iron, I usually dry one day and flat-iron the next. p.s. My hair is the longest that it’s ever been and the fullest it’s been in a long time following this regimen. 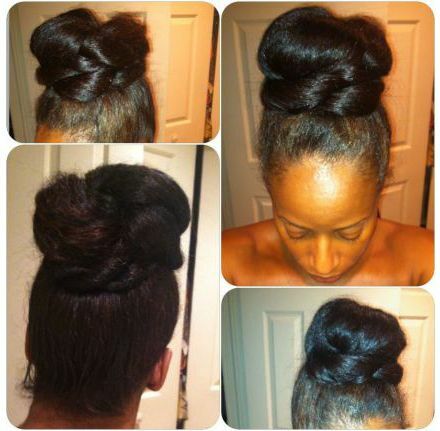 This article was written by Shelli of Hairscapades and published on CurlyNikki.